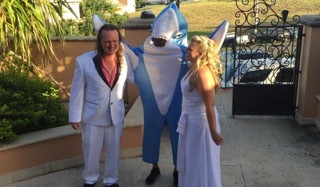 Wedding Reality Check with Sandy Malone: Would You Have a Themed Wedding? Themed weddings can be a fantastic way to celebrate your big day, and you’re not required to carry the theme through all of your events. It also makes planning the décor much easier. Sandy says the bride and groom, and at least some of their friends and family, have to be totally committed to the theme in order for it to work. But when it works, the results can be spectacular. Please look for Wedding Reality Check with Sandy on iTunes, iHeart, TuneIn, Podbean and numerous other podcasting directories and sights.